Brand: Eyourlife Desc. 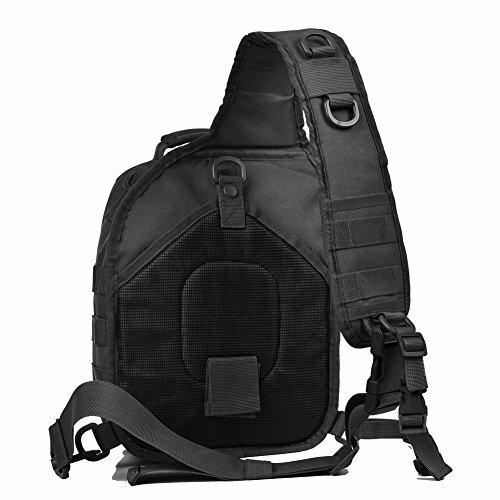 :Tactical Assault Sling Pack Military Molle Hunting Range Shoulder Sling Bug Out Bag Sling pack is made of durable 600D polyster, (H*W*D), Tactical sling backpack has adjustable and comfortable shoulder strap, and also has smaller strap to help reduce the sway of the bag while moving as military rover shoulder assault sling backpack.Sling pack is a great everyday carry tactical diaper bag or travel sling bag to take on small trips or hunting, fishing, bicycle riding or go hammocking for a little bit where you may require some relatively small items. 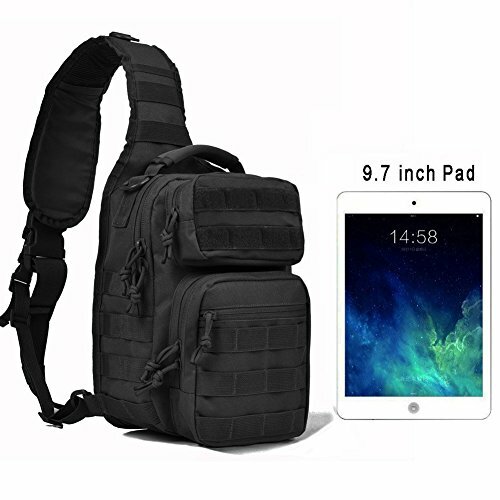 TACTICAL ASSUALT BACKPACK CAPACITY : 12 * 9.5 * 6 inch (H*W*D), enough for carrying 9.7 iPad, small notepad, keys, wallet, cell phone, flashlight, gloves, bottle of water, chargers etc. 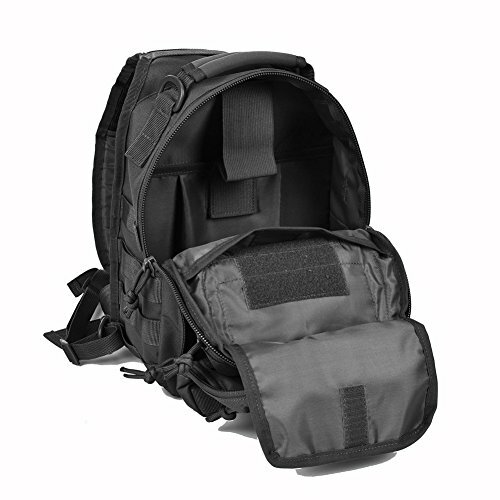 on a daily basis MADE OF 600D OXFORD CLOTH : Made of durable 600D nylon oxford cloth with a water-repellant coating. 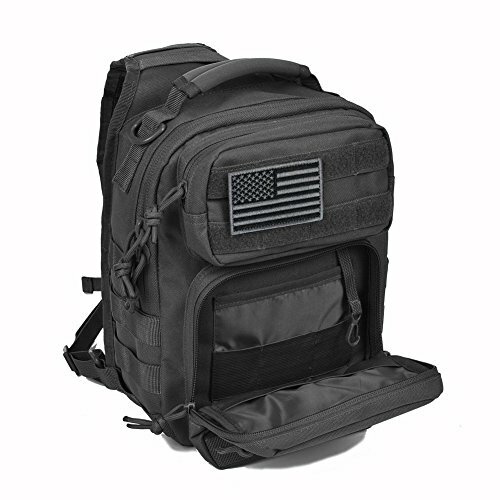 The Military Tactical Backpack has durable construction with Heavy-Duty Waterresistant Nylon pack cloth construction and heavy-duty oversized zippers for extra durability. 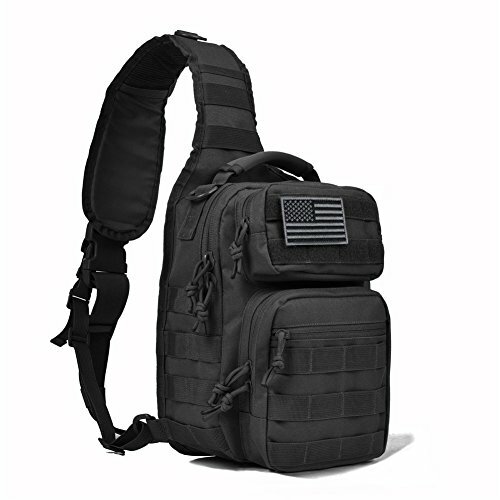 ACCURATE DESIGN : adjustable and comfortable shoulder strap, and also has two smaller straps to help reduce the sway of the bag while moving as small military rover shoulder sling backpack. 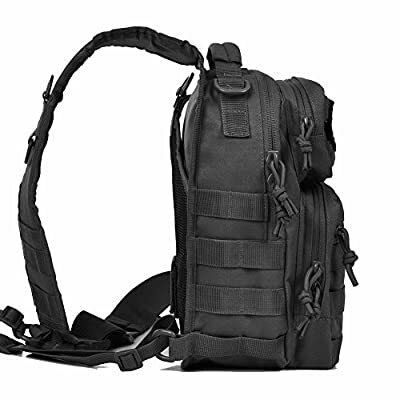 THIS IS A SLING PACK : It is a great small everyday carry tactical diaper bag or travel sling bag to take on small trips or go hammocking for a little bit where you may require some snacks or other relatively small items. 100% AUTHENTICITY GUARANTEE: We offer a 60-day unconditional return policy plus a 1-year warranty; we want to know if there are any concerns or questions; please contact us as we stand behind our products.